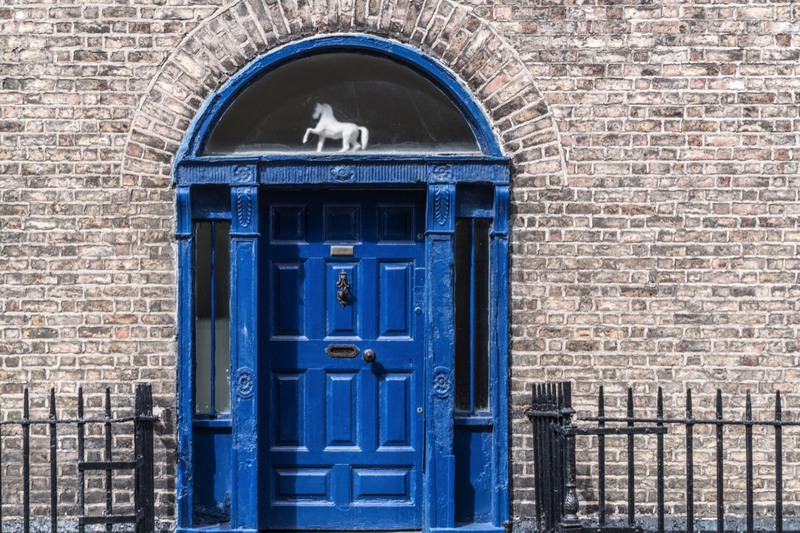 When I was young some homes in Dublin displayed a white horse in the fanlight above the front door. It is almost certain that in recent times many did not realise that the pretty white ornament was King Billy’s horse on which he won the Battle Of The Boyne. As a white horse in a fanlight was a clear statement of Protestant sympathies the horses have disappeared and it is a long time since I have see any on display anywhere in the Republic. In February 1702, William’s horse [I assume that it was a different animal]stumbled on a molehill at Hampton Court and he was thrown, breaking his collarbone. His health, which had never been strong, deteriorated rapidly. He died on 8 March. William had no heir and his death brought an end to the House of Orange. The supporters of James II did not mourn him and toasted the mole who made his horse trip as ‘the little gentleman in the black velvet waistcoat’.